Well, finally I am getting around to testing my sillycone and wacks. I just turned mad though. 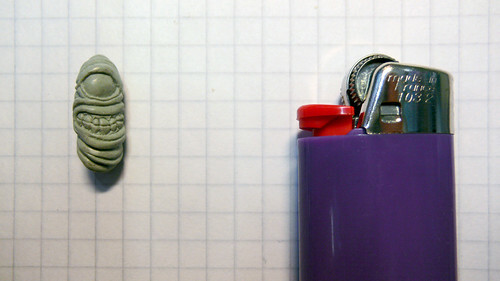 Look at how tiny that thing is and I still feel like I haven’t reached the pinnacle of what I can sculpt with this wax. Someone please stop me. More soon. FYI: size is below an inch in length and about a third of an inch in width.